We offer Private and Semi private lessons for visitors to our area and our regular participants who wish individual instruction and guidance. And we are glad to schedule a special hands-on for friends, family, and coworker groups tailored to your skill levels and interests. Email gallery@310art.com and let us know the dates you are visiting and the topics you desire. We make every effort to fulfill your special requests. Tuition will be required in advance via online invoicing that we will send to you or payment at the studio in advance. Specific bookings based on the availability of the instructors. See options below. Encaustic basics and special topics for experienced students. 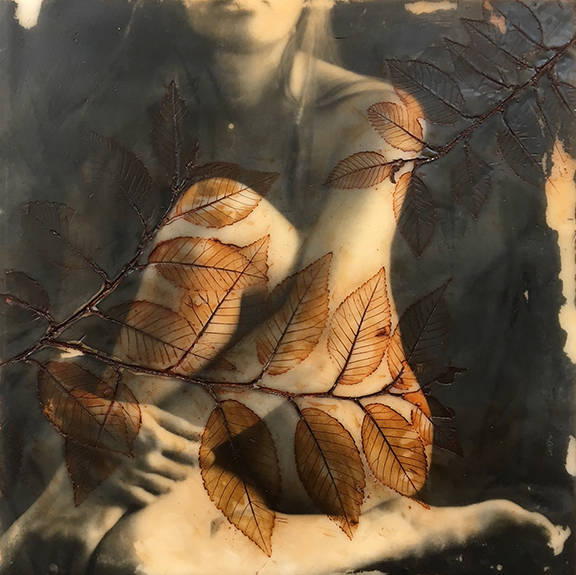 Private and semi private lessons in encaustic methods with Bridget Benton. Safety, tools and materials, techniques with hands on creation of multiple small art works. Advanced reservation is required. We can customize your encaustic class with special topics for both beginners and advanced students in our Private and semi private classes. Please contact us regarding topics you wish to cover beyond the basics. Price may vary, depending on your focus for advanced topics. Special groups of 5-8 people can also be accommodated, inquire about fees. Hands On Private or semi private (up to 4 people) lesson with award winning artist Lorelle Bacon in scratchboard, or alcohol ink. $145 per person for two hrs minimum. An additional $65 per hour for lessons over the 2 hour minimum $25 per person for materials. Special rates for larger groups. Special Wire Wrapped Jewelry private or semi private 3 hour lessons for one participants. For 2 or more we would recommend a 4 hour class at the same per person rate. Make a beautiful wrapped copper bracelet and learn basics of fine wire wrapping. $210 plus $20 materials fee per person. For larger groups please inquire. We can schedule a longer and more in depth class for your group upon request. 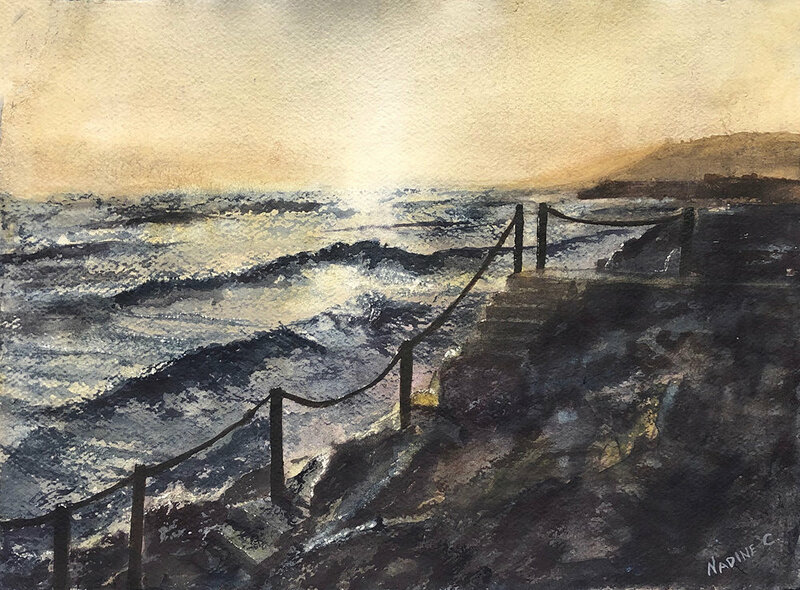 Explore special techniques and bring your watercolor to a new level with award winning artist Nadine Charlsen. Hands on private and semi private lessons (up to three participants). Specialties include Landscapes, Architecture, and dramatic lights and darks. Rework pieces you already have or start new ones. Fun and easy techniques to recapture your lost work or find new paths. We welcome the novice painter and those with more experience. $145 per person for two hrs. minimum. $65 for each additional hour up to 6 hours/day. Add $25 per person for materials or bring your own. For one to three participants. Special rates for 4 or more participants and special 4 hr workshops can be scheduled for your group or family, provided the instructor is available. Great for a vacation experience in the arts district! It is recommended that you schedule in advance, and prepayment is required. Enjoy a fun mini workshop using dark beer and watercolor as your paints. Asheville's dark beer gives a vintage look to small mountain landscapes you will create in this 2 hour hands on experience taught by Nadine Charlsen. All Materials provided. You must preregister by calling or emailing. 828-776-2716 or gallery@310art.com. Tuition: For small groups our rates are $145 per person, which includes materials. For larger groups of 6-10 participants, $90 per person, 11 or 12 participants, $85 per person. This is a fun experience for conference and tour group participants. NOTE: Beer and watercolor are the paints used in this class. We do not serve alcohol but you can get a glass of beer at the famous Wedge Brewery located behind our studio after class if you wish! Create a beautiful small Floral with pastels or oils. This is an introduction for the novice or intermediate to advanced tutoring for the experienced artist with award winning pastel painter Susan Sinyai. You may also choose to create a mountain landscape in pastels with Susan. This makes a great memento of your time in the Appalachian Mountains! Special subjects may be chosen for the experienced artist wanting some next level private tutoring in pastels and realism in oils. $145 for two hours, $65 for each additional hour scheduled. $25 materials fee per person. For 1-4 participant. For groups of 5 participants or more, please inquire about rates. Expressive Studio Landscape in Oils or Acrylics - $145 for two hours, $65 for each additional hour scheduled. $25 materials fee per person. For 1-4 participant. For groups of 5 participants or more, please inquire about rates. Create a painting using reference photos of the Mountains, or your own photo. Painting the Local Landscape Outside (en plein air): $210 per person, 3 hrs minimum. $70 for each additional hour. $25 material fee or bring your own. 5 participant Limit. Paint outside with Ben, Learn the basics of on site outdoor painting. Novice to experienced.